Before few days I got an invite from Arva of I live in a frying pan to join the Fooderati Arabia group...can't tell you how excited I was. I immediately accepted the invite and was happy to be a part of the group consisting of talented bloggers from UAE...these guys have wonderful blogs and I was amazed at how active they were in the group. They meet regularly, organize many monthly events, outings and they are a great support group. Through this group I came to know about Breast Cancer Awareness event. October is Breast Cancer awareness month and I am contributing by making a pink post. For people residing in Dubai~ our two fellow FIA members Rajani And Lin are donating 10% of their sales to the Safe & Sound- Breast Cancer Awareness Programme. Visit them at their FB page to know more. Do support the breast cancer campaign by liking Safe & Sound. Grate and mash the cottage cheese. In a non stick pan add in the clarified butter along with cottage cheese and condensed milk and cook on low heat. When the mixture starts thickening and leaving the sides of pan add in the cardamom powder and turn of the heat. Transfer the mixture in a plate and divide it in two parts. In one part add in the beetroot purée/ food colour and mix it nicely. The mixture will turn pink in colour. Once the mixture cools take out a portion out of the white part and roll it in a small marble size round and keep aside. I made some with white centre and some with pink centre. This is how the laddoos looked from inside. These are best when served fresh but can also be kept in refrigerator for 2 days. awww so pretty- u know when babies remind u of laddoos- here its the other way round- your laddoos are like adorable babies :).. looks very easy to make too! wow beautiful and cute balls !! lovely sweet !! your amazing!!! 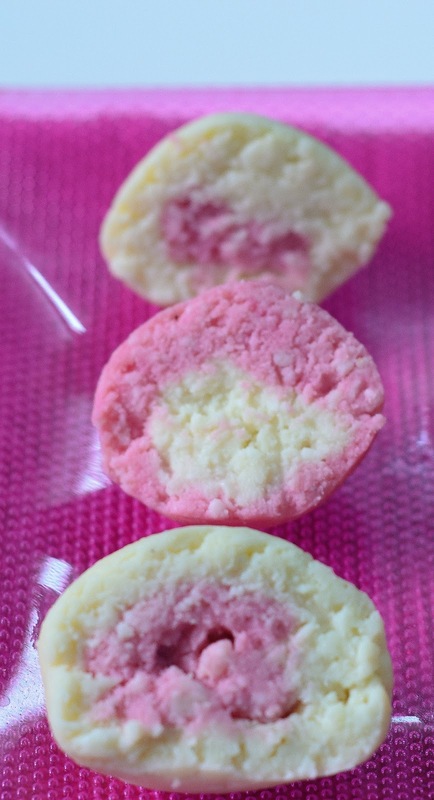 Im a huge malai laddo fan..love the innovation in pink! thanks for the mention!!! Very nicely done malai laddoo. 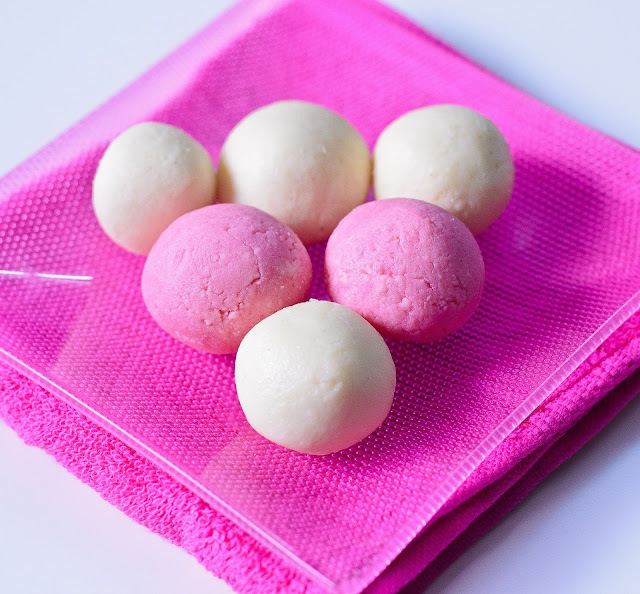 Lovely pink color laddus.. good entry..
Wow malai laddoos looks super cute and extremely elegant..Wonderful post Raji. Awesome Raji.......one of my Diwali sweets is here ...Thanks a ton !! Awesome Raji , it will be one of my Diwali sweets now. awesome. luv it that u have used natural food color. Wow malai laddoo is lovely especially the colour is tempting. Just love the pink post..the laddoos look adorable.Do check my post on pink too,Raji.Good to have you on board and happily following you. Lovelly ladoo..like the pink one a lot!! Gr8 Idea..
lovely and nice gesture ! So beautifully presented. Awesome clicks. beautiful recipe and for such a great cause. Delicious, looks cute, it will be always nice to contribute little bit of our part to breast cancer awareness. Malai ladoo looks yummy and love the color.Thanks for sharing. Super delicious one Raji, good write up for a good cause. Malai Ladoos look very beautiful. Delicious as well. Nice clicks. I can't believe that I didn't see this earlier...this is fabulous!! those malai ladoos look amazing, did you share this with Fooderati??? I'm gonna share this now! Wow Raji ladoos look so so good. Lovely clicks! How adorable ~ they look gorgeous n so very festive! Realy good recipi ! thanks for sharing with us. 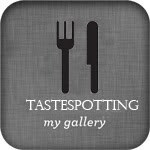 Hey I think foodfood.com has stolen your amazing picture of this recipe...do check their site for malai ladoo..